If you’re a regular reader of this blog, you may have noticed that I keep switching my themes from time to time. The reason why I can’t stick to one theme is that I get bored with the same design quickly or I want to achieve a more professional design. Being a non-developer and with a basic understanding of HTML and CSS, it’s not possible for me to create a custom theme from scratch which can satisfy my needs. So, whenever I hear good things about a theme and how it can improve my blog, I give it a try. The latest in my experiment is GeneratePress – one of the best WordPress themes ever coded. Now, I didn’t directly started using it on BlogCharge but first tried on my niche sites to see how well it perform. Only after being impressed by the features, I shifted this site to GeneratePress. What Makes GeneratePress The Best WordPress Theme? GeneratePress Pricing: How Much Does it Cost to Own It? GeneratePress Theme Examples: Is it Used by Any Popular Blog? GeneratePress Comparison: How It Competes with Other Popular Themes? Starting with a little introduction. 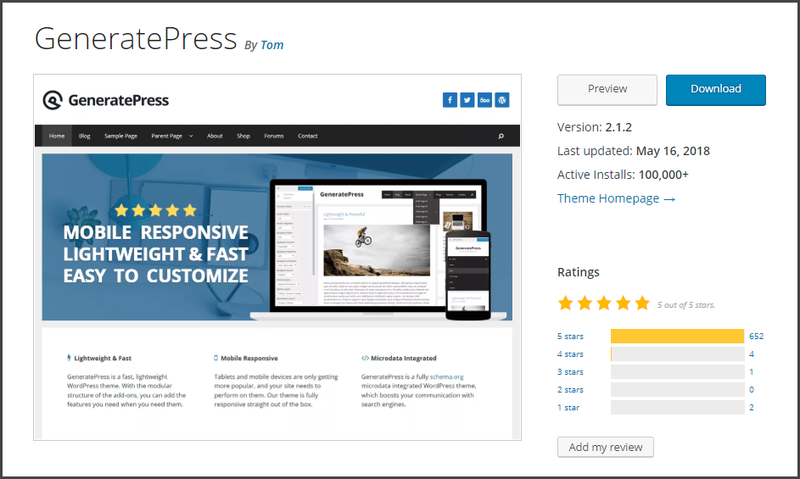 GeneratePress is a free theme coded by Tom Usborne – one of the most exceptional WordPress developer. 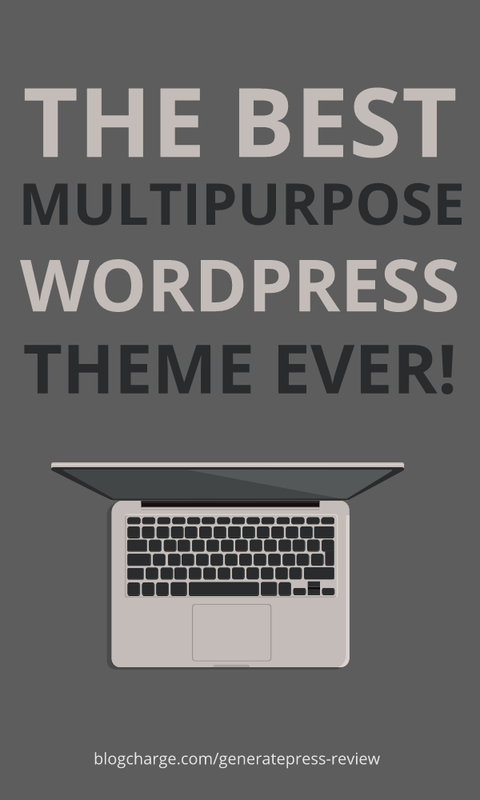 The free version of the theme is available to install on WordPress repository and come with limited (but sufficient) set of features. The ratings and download counter alone shouts about the quality of theme. Additionally, you get access to support forum which already answers thousands of questions. Even for the free theme, the support is excellent, and you won’t feel left out. To get the complete functionality and ability to customize, I recommend purchasing GeneratePress premium – a plugin with 15 add-on modules. Note: In this GeneratePress review article, I’m considering the premium version and will be talking the features and customization it offers. So, here are some of the critical features which make GeneratePress stand out and become one of the best multipurpose WordPress themes. When it comes to the size, most WordPress themes take MBs of data which makes them heavy on the server. On the flip side, GeneratePress is lightweight and compact. 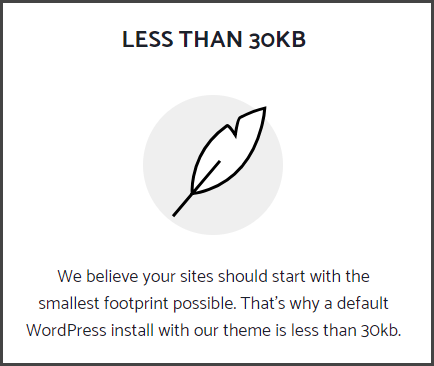 It is just under 30kb which makes it incredibility small and light on the server. Additionally, since the premium version is a modular design, you get to choose what add-on to activate. It further gives you control over the size and load. Website load speed is one of the significant SEO factors and not only Google but also people prefer a speedy site. Statistically speaking, 40% of visitors will abandon the site if it takes more than 3 seconds to load. Now I know your inner blogger is shouting that website speed depends on web hosting, but that’s partially true. The theme used and it’s quality of code also affects the speed and using a properly-coded theme can improve your average load time. GeneratePress has been a blessing in this regard. I previously switched from shared hosting to CloudWays and saw a 458% speed improvement. But I was still using the MyThemeShop theme, and there was room for improvement. Before switching to GeneratePress, my website used to load in 1.86 seconds which in my opinion is still great. For the speed test, I’m using WebPagetest instead of everyone’s regular go-to tool Pingdom. WebPagetest is known to give a more accurate loading speed results for real human visitors. As a result, the load time shown is higher but accurate. I got 69% decrease in load time. Impressive, isn’t it? While I can’t guarantee the same results, I firmly believe that you’ll see some speed improvement after just switching to GeneratePress. 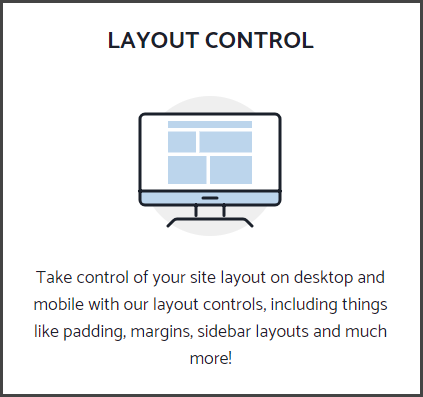 If you haven’t a premium WordPress theme like MyThemeShop which comes with their “theme options” menu, the only way to customize a theme is via WordPress customizer. It can be accessed at Themes > Customize option from your dashboard. Although a separate theme options make more sense, using WordPress customizer has its own advantages. For instance, you can see the changes live without having to “save” everything. 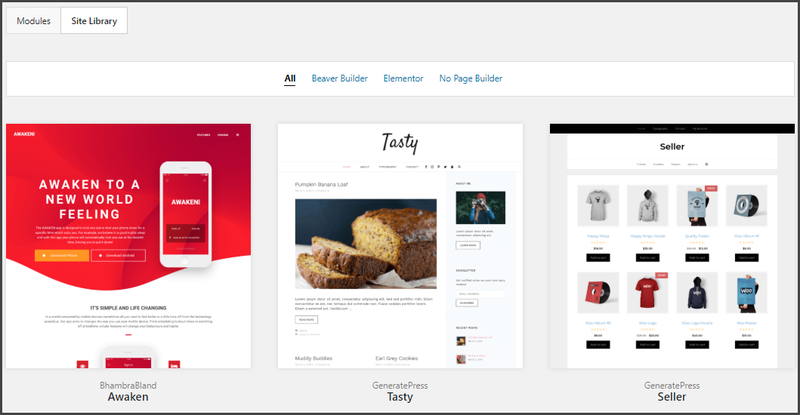 GeneratePress take the WordPress customizer to a whole new level by integrating all the theme options right there. The settings are properly categorized so you can change a particular section individually. I’ll talk more about the options available here and how to use them, later in the post. The biggest nightmare of switching theme is to have compatibility issues with your most loved plugins on your sites. Some themes may start throwing errors or behave unintentionally which takes more time to fix than it took to customize. Also, you may have to find a replacement plugin and make sure to correctly migrate previous data to the new one. Fortunately, that’s not the case with GeneratePress. Because of the high-standards of coding, the theme is compatible with almost every WordPress plugin. In my personal experience, I faced no issues or strange behaviors after switching to GeneratePress, and there was no need to replace a pre-installed plugin. Everything worked smooth! 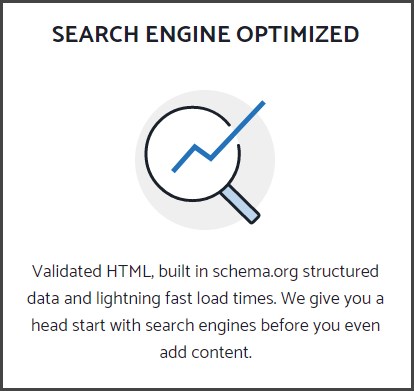 For those familiar with Search Engine Optimization would know how important it is to have schema.org structured data for your articles. It makes easier for search engines to crawl your pages (and rank) since it is already structured. GeneratePress comes with inbuilt schema support which eliminates the need for downloading another plugin. Today we’re announcing that starting in July 2018, page speed will be a ranking factor for mobile searches. Since GeneratePress makes your site faster and responsive (more on that in next point), you automatically get a boost in your SEO efforts. Again, mobile “speed update” is an official update by Google which can affect thousands of site’s ranking. The best alternative we have is to make our site mobile responsive with better user experience and no unwanted elements flying here and there. Using a responsive theme is the quickest way to achieve a mobile-friendly site. Almost every major WordPress theme is now responsive and optimized for different screen sizes. GeneratePress is no exception here. The developer has taken proper care of responsiveness, and the theme looks flawless to mobile readers. Additionally, you can customize padding and margins for mobile readers if there’s a need. Although English is the preferred internet language, some internet users from the developing countries like India are growing day by day. Ironically, the number of internet users from India are set to grow to 500 million by June 2018 (source) – a vast user base to target. At this point, it becomes necessary that your theme & site support multiple languages. 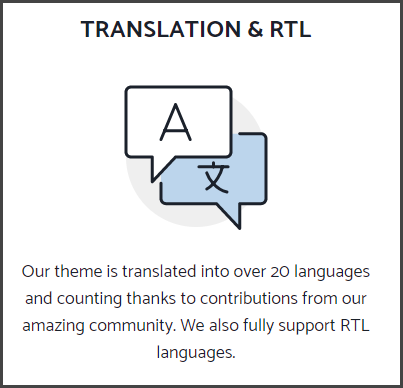 Thanks to the fantastic community, GeneratePress has already been translated to 20+ languages and also support Right-to-Left languages. How put out you feel when you have to buy the same theme multiple times just because you fell in love with it and want to use it on all of your sites? To me, it’s pretty annoying and feels like a loot by the developer. Of course, there could be a limit of 5-10 sites, but buying a separate license for each site is just not my thing. Interestingly, GeneratePress developer is not here to loot. The theme allows you to install it on unlimited sites you own. The single license will work on all the sites which enable automatic updates and support. We’ll discuss the license and renewal in the pricing section. Frankly speaking, I have had my fair share of experience with tons of theme developers – MyThemeShop, Thrive Theme, Divi, VisualModo, etc. I won’t say their support was crap, but nothing comes close to what Top offer here at GeneratePress. The man is an actual example of how a support system should be. Doesn’t matter if you are a free or premium member, you’d get proper support with detailed answer and codes. You can access the support forum and see for yourself what kind of support I’m talking about. Overall, I would give 10/10 for the support alone. 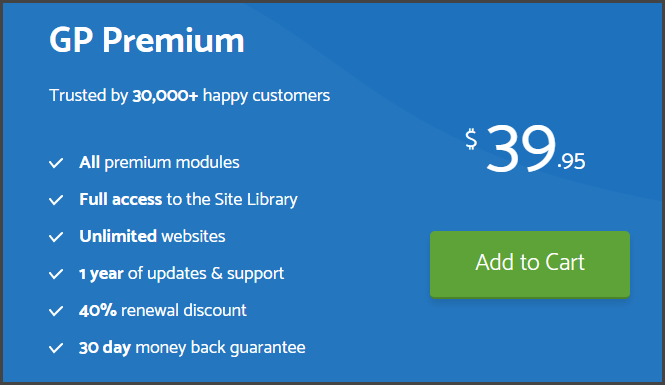 Considering the features provided, the theme is very affordable, and a must-have for those managing more than one websites. Additionally, there’s 30-days money back guarantee, which mostly shows how confident the developer is about the product. If you are still confused if it’s worth upgrading to the premium version, here is what all you get with GeneratePress premium. Colors – Allows you to change the color of any elements on the website. Includes links, header, footer, background, buttons, etc. Typography – With this module, you can quickly change the typography (with size and color) of headings, body text, footer text, sidebar text, etc. It includes access to Google fonts so you can import ‘em easily without installing any third-party plugin. Menu Plus – Helps you add sticky navigation, header logo, mobile header, and slide-out menu. Page Header – Change header width, animation, add a background header image, manage transparency, and more with few clicks. Spacing – Control spacing between different elements, add padding, margins, and sidebar width. Blog – Take charge of how your blog rolls look, add featured image, read more button, shown in column or masonry, number of items to display, alignment, and a lot more. Secondary Navigation – An additional navigation menu with same features as primary navigation. Backgrounds – Add background images or colors to any element throughout GeneratePress. Sections – A simple page builder that allows you to create unlimited parts on your posts or page. Can be used to make unique content layouts. Disable Elements – Want to disable certain elements – featured image, author name, sidebar, etc. – from the entire site or a specific page? You can achieve it by using this module. Hooks – Wish to add a custom subscription box, image, or ads on specific locations? Hooks will allow you to insert any code (PHP, HTML, …) inside your theme throughout various areas. Copyright – Add a custom copyright text in your footer bar. Import & Export – Own multiple blogs and want to have the same design? You can quickly export & import your theme options with few clicks. WooCommerce – Create your own e-commerce store and sell products on your site without technical experience. Note that these add-ons can be activated and deactivated independently. You don’t have to enable all of the above and can choose only required ones. For instance, I don’t use Background, Hooks, Secondary Nav, and WooCommerce modules on this site and hence deactivated them. You can manage these settings by going to Appearance > GeneratePress > Modules. In addition to these modules, you get access to site libraries. It can be accessed at Appearance > GeneratePress > Site Library. Here you can find some amazing site templates ready to import and edit. By using site libraries, you can easily create a beautiful looking site in minutes. You can choose the templates designed with Elementor or Beaver Builder page builders or without any page builder. 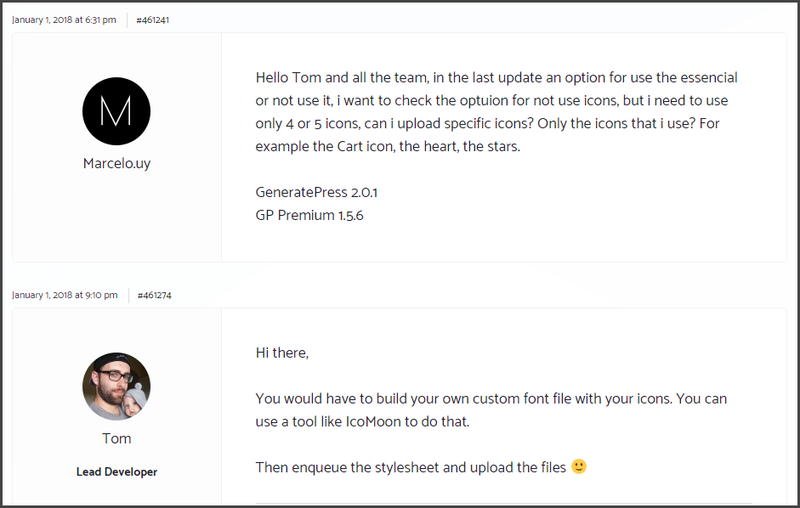 GeneratePress is compatible with all page builders, and you won’t face any hiccups while editing previous pages or designing new. I especially recommend using Elementor or Thrive Architecture. Are there any favorite internet blogs which are using the GeneratePress theme to get design inspiration and see how well the blog performs in real life? Of course, there are. I have come across many popular sites designed with GeneratePress and customized as per their requirements. Here are few real-life GeneratePress theme examples you can refer. Managed by Tung Tran, CloudLiving.com is every affiliate bloggers go-to resource. You can find some of the best guides about making passive income, finding a niche, link building, and more. To be honest, CloudLiving is what inspired me to go ahead and buy the GeneratePress theme. After switching to GeneratePress, Tung saw a speed improvement of 48% without making any other changes. Brian Jackson is a popular internet marketer with several successful products like Kinsta hosting, WP Coupons, and Perfmatters under his sleeve. Woorkup.com is a blog managed by him where he reviews different products and shares blogging guides. He found GeneratePress so surprising that all his sites are now using GeneratePress theme only. Also, he’s very concern about site speed and coding standard, and hence GeneratePress was a dream come true for him. The idea to add Twitter button in primary navigation on my site is inspired by his site only. It is a health niche blog managed by Tung Tran. ThankYourSkin.com is again powered by GeneratePress theme and looks elegant. The load time is excellent, and readability experience is top notch. If you’re planning to start a niche site which will be loved by Google, GeneratePress would be a perfect theme for you. There are many more GeneratePress theme examples, but these three sites will give you a good idea of what to expect and how to design your site. For this comparison, I’m choosing Genesis, Astra, and OceanWP theme. Let’s see how GeneratePress stand against the competition. Genesis Framework is unarguably a top choice for bloggers looking to create a powerful website. It powers some of the most popular blogs on the internet. Genesis is developer-friendly and can be customized in any way if you’ve coding knowledge. However, it’s difficult for non-techies to customize it. If you’re a developer and want to create a custom child theme, Genesis would be a pretty solid theme for you. Astra is one of the fastest WordPress themes which is very easy to configure and set up a site. It is page-builder friendly and comes with tons of customization options. There are ready-made templates available which can be imported and customized. If you’re an agency or freelancer who designs a website for clients, Astra is a good choice. OceanWP can be referred to as a more stylish version of GeneratePress with bit complexity. The free OceanWP theme has more features when compared with GeneratePress free version, which makes it popular among free users. It is developed by Nicolas Lecocq, and offer top-notch support and customization. If you want to have a better-looking theme with a similar set of features as that of GeneratePress and don’t mind a more complex editing experience, we recommend OceanWP. It is technically impossible to have a perfect theme with no downsides as such. The same applies to GeneratePress as well. Although it has some of the best features at an affordable price, there are few complaints which are worth discussing. Website design is one aspect where you’ve to compromise by using GeneratePress. It has fantastic customization options, but they are limited to colors, size, and other elements which doesn’t actually add much difference. You can, of course, overcome this situation by hiring a designer or using page builders. But that’s not feasible to everyone. If you are ready to have a similar design pattern like most blogs running the same theme, GeneratePress is your bae. Although I’m completely fine with paying renewals to get updates and excellent support, some bloggers dislike this model. Essentially they want to pay once and get lifetime updates without having to charge their cards again. If you want a theme with a one-time payment, then Genesis Framework is your option. However, since there is a 40% renewal discount, I can’t think of a reason to not buy it. Note: After purchasing one year license, you can use GeneratePress on your site(s) for the lifetime. Your theme won’t stop working even if you don’t renew the license. What you lose are updates and customer support. If you’ve any other GeneratePress complaints, feel free to comment down. If suitable, I’ll share it on my article. Unfortunately, there are no current discounts at the moment for GeneratePress. I’ll update this section if there comes a sale or promo code. I didn’t plan to, but the article just shot over 3,000 freaking words. It is one of the most in-depth product reviews I have written, so far. But, I hope the words do justice to the product, and you can now make an informed decision. If you ask me, I highly recommend purchasing GeneratePress before Tom realizes and increase the price. You’ll get a faster website, ability to customize almost everything, a better reading experience, and head starts in SEO. Have previous experience with GeneratePress? Share it with us and how it changed your blog design. You can also suggest the addition of a feature or complaint to the article. Lastly, if you loved my honest GeneratePress review, share it with your friends and followers. And don’t forget to pin the below graphics on your favorite Pinterest board. I didn’t plan to stick to a single WordPress theme for long but after using GeneratePress, I’m confident that I’m not switching to another multipurpose theme ever again. It offers everything you can ask for – affordable price, speed, features, customization, and excellent support by Tom. Give GeneratePress premium a try and I’m sure you won’t be able to revert back. Shafi, Very good review and yes its best WordPress theme that I have been using since year. Super fast, SEO friendly, highly customizable. Love it. 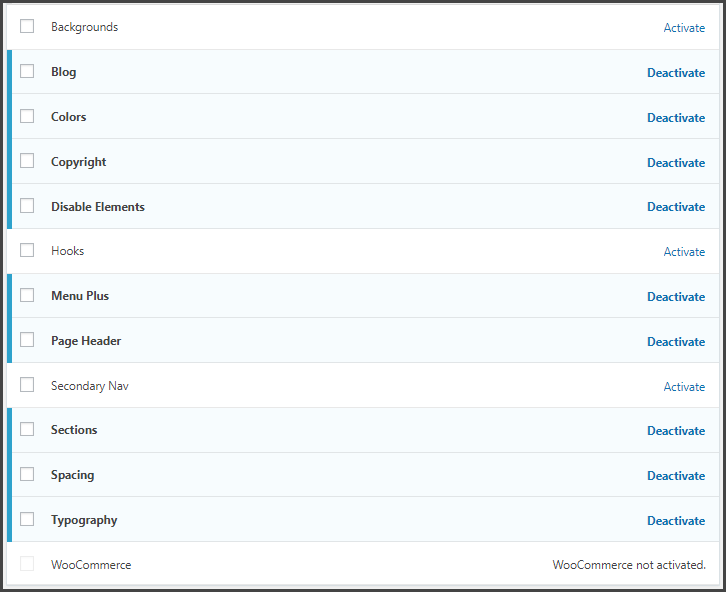 Do you know how to revert the Site Library settings if we don’t wan’t to use any particular library of the themes (i.e templates) they have provided? I’m not sure about reverting the library settings and haven’t played much with that part yet. You should ask about it in the GeneratePress forum and I’m sure Tom or some other staff member will solve it quickly. Completely agree with you, Peter. How to show post title navigation above single post with arrows like yours in generate press theme. this information really helps me i was trying boost my websites speed but i don’t have right and proper guidance on this issue. i will follow on your informational tips. Nice share and very well written article. I am also planning to buy generatepress for my blog and I am just curious to know which plugin are you using to give star rating? GeneratePress will be a great choice for you, so go for it. And I’m using WP Review by MyThemeShop to add review boxes and star ratings. Hi Shafi, did you ever get a chance to review WpAstra? I have tried the free version of WPAstra and it’s another great theme. I feel it’s more suited for agencies or freelance web developers rather than personal blogs. I just installed this theme on one of my site :).Thanx for detailed review. Thanks for sharing this detailed article on generate press, this theme looks really great, I am also looking to buy this theme, but I have a small doubt, can I create a magazine kind of site by using generate press theme. Yes you can create a magazine kind of blog. You’ll have to change some settings and may have to add CSS. But, it’s possible. So, this blog use Generate Press too? The looks so different & good, can you tel me the setting & plugin? Yes, I’m using GeneratePress. What specifically would you like to know Rima? Please contact me directly if you need personal assistance. The development progress of GeneratePress Premium is so slow. WP Astra PRO is getting ahead of GPP and GP is not giving a damn. WP Ocean is also coming up with a pretty solid visual page building concept. I agree with OceanWP changing the game. I have used the free version and looks great. I even got a chance to write a guest post there and discussed theme’s plans with Nicolas. GeneratePress might be in slow development but currently, it is performing well, so I’ll stick to it. And it’s true that everyone’s favorite Genesis is coming to an end. It is still used by top bloggers but many are switching over. Studiopress themes are always awesome. Genesis framework is awesome to use and it’s also speed optomzed. I also use digital pro theme. Genesis framework is a good theme but I personally find it outdated and not noob-friendly. Thanks for sharing your review. GeneratePress is a good free theme. When I researched a few months back about free WordPress themes, GeneratePress was on my list, but I am impressed with hueman theme. Hueman is another great theme Balachandar. So, did you used GeneratePress first or just directly started with Hueman? I am using divi premium theme. Just researched about free themes for writing an article. That’s a very long review, Shafi. I haven’t seen any free WordPress theme with so much of positive reviews. And I am coming around people started using GeneratePress Premium, as they are very much satisfied with its performance. So, it is definitely a good theme to consider for your blog, if you want to make it look professional. Also, I wanted to know, how your long articles are performing on Search Engines? I too have tried writing very long content, but their performance on Search Engine is not up to the effort that I put in to write it. Yes, GeneratePress is a great theme and because it is multipurpose, it can be used by all types of bloggers. Regarding your questions, my search engine rankings are better for long-form contents + I get more social shares. So, nothing to complain about.